Teachers- Would you like to provide an amazing event for your students? Consider a Creative Strings Residency: A guest artist collaboration focused on contemporary styles, improvisation, and related subjects which balances educational substance with inspiration via classroom sessions and collaborative concerts. – When comparing Carnegie Hall or Disney World, think “fraction of the cost and hassle,” from the comfort of home. 1) Well-Rounded– Some programs focus on one genre. We offer broad repertoire: Latin, Americana, Jazz, Blues, Rock, et al. 2) Sound Pedagogy- Other programs use classroom time for rehearsal. We use them to teach skills based on sound pedagogy and in-depth curriculum. See for yourself in our videos, podcasts, and articles. 3) Flexible funding opportunities-. Book now to take advantage of last minute filler dates. 4) Spotlight on Students– Other programs make it all about the guest artist. We focus on serving the students. B) “Informance” portions of concert feature students demonstrating new skills to parents. A former Associate Professor at Berklee College of Music, Christian is widely established as one of the world’s most respected jazz violinists and string pedagogues. A Suzuki-trained, accomplished classical violinist, he brings a unique perspective to help string players and teachers broaden their knowledge and skills. The need for classical musicians to diversify is self-evident. 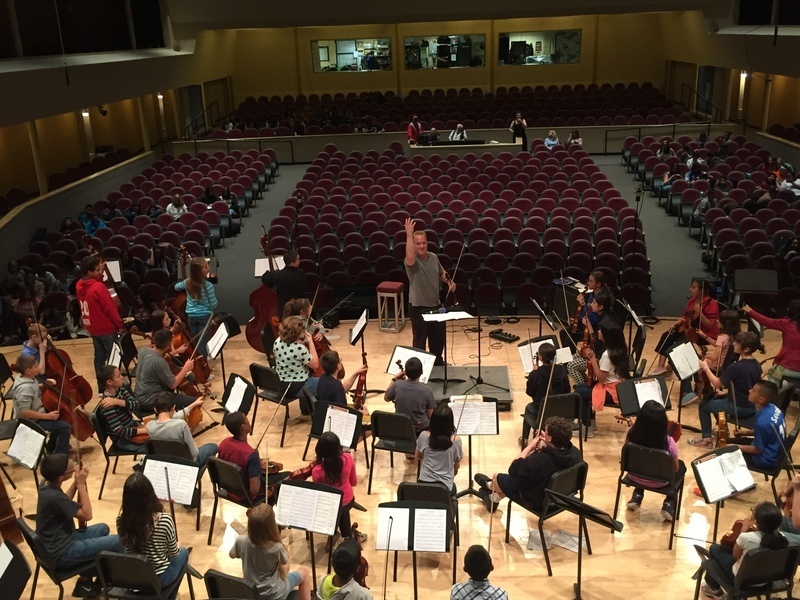 Orchestral programs can offer a broad array of skills so that students will be able to incorporate music into their lives more sustainably. Download this guide for a detailed description of clinics. You’ll have full support of Christian’s team in logistics, promotion, and programming. Our vested interest is in partnering to help teachers create successful events. Sponsored Access to Online Learning-Yamaha and D’Addario have generously provided sponsorship to allow schools to utilize online learning via Christian Howes’ Creative Strings Academy in anticipation of his visit, to maximize the time with Christian at your school. For sample repertoire and concert structure, learn more here. How can I bring this into my school? First, we’ll work with you in planning a time for Christian to come into your school. Once a date is chosen, you’ll receive your unique login for the Creative Strings Academy so you and your students can dive headfirst into the online curriculum. We’ll work closely with you to promote, schedule, and program, and there will be a mutually agreed itinerary to serve the needs of your district, whether it includes teacher training, k-12 student workshops, assemblies, concert, and any media appearances. All of this will culminate in a final performance highlighting the students. The event is an opportunity to fundraise, promote your program, recruit, and nurture support from your community.